Built in the mid-19th century, the classical-style building of Sárga Borház Restaurant may well be one of the Tokaj Wine Region’s most beautiful countryside houses. The restaurant has an ‘inner room’ suited for elegant, intimate dining, an outer room, close to the entrance, for wine or coffee time and an open-air terrace for the sunny days. The beautiful upstairs function room can seat sixty. 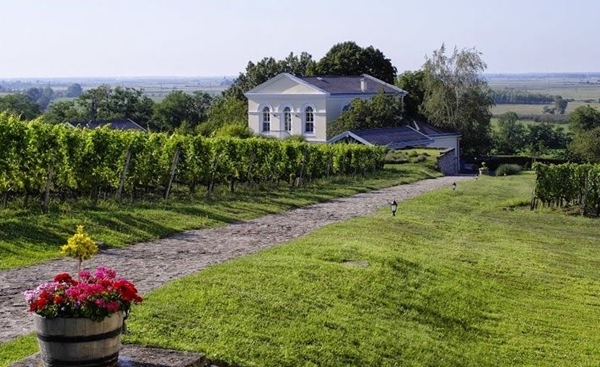 You can explore the restaurant’s immediate surroundings with a walk in the vineyards and possibly up to the adjacent Disznókő Winery for a discovery of how Tokaji wines are made. Wine snacks are on offer to go with wines from Disznókő or other renowned Tokaj producers. An ever-changing combination of uniquely complex wines and creative dishes made from fresh ingredients brings something new to discover in every season. We are also planning to offer takeaway picnic hampers, including wine, to be enjoyed during a walk in the Disznókő vineyards.